enhanced the look and feel of artificial football turf dramatically. It looks indistinguishable from its natural grass cousin—in fact, it looks just as verdant and rich as a well-kept natural grass football field. 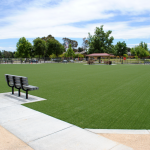 The feel is equally as impressive; each synthetic turf fiber is consistent with the next, creating a smooth, rut-free surface that absorbs impact incredibly well. The benefits below make installing artificial football turf a no-brainer for any high school, college, or private school. 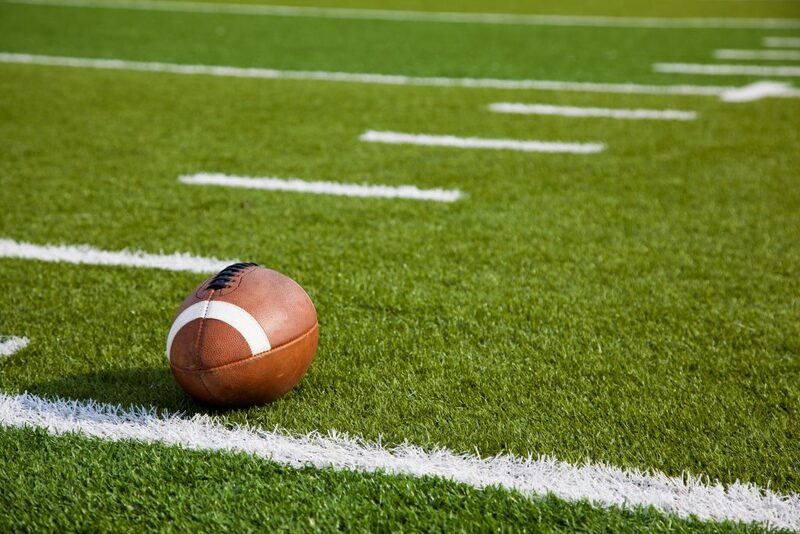 Even with daily use, artificial football turf lasts longer than any other options available. With minimal maintenance, it can withstand your players trotting out onto the field for as long as 20 years. Sounds good, right? Now compare it to your traditional football field which needs attention after every game as cleats crash into dirt, dig up grass, and create ruts and divots all over the field. Unlike natural grass, a synthetic turf field won’t become worn into unsightly pathways or a patchy mess with each quick turn, sharp pivot, or march downfield. When you have large linemen jostling with one another for position, all of that grass your groundskeeper worked hard to bring to life quickly turns to mush underfoot, but with modern field turf, you won’t have to worry about patching up holes after each game. When you use dirt or a traditional grass field, you are putting your players at an unnecessary risk for injuries. The soft, synthetic blades and structural padding on an artificial sports turf act as an added layer of protection in a game with constant impact. More importantly, your field will not deteriorate during a game and you won’t have any stoppages for repairs. Synthetic turf also offers superior drainage, so you’ll never have to worry about your field becoming a flooded muddy mess on a rainy day. On a normal field, each play chews up your field and eventually creates dangerous ruts and divots leading to inevitable injuries as your impact player catches a rut and twists an ankle. Artificial turf stays strong against the toughest plays and keeps your players on solid ground. for upkeep and repairs is virtually eliminated. 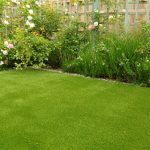 You no longer need to mow, maintain and spend hours trimming and edging with a weed-whacker (in fact, you can do without these purchases entirely). This becomes a dramatic advantage before you even think about the money you’ll save in fuel, oil, water and upkeep costs. Furthermore, you won’t need to worry about installing a sprinkler system or dragging out the hoses in a dry season (or dry climate), and you’ll save on all the associated water costs. If you’re worried about what kind of upkeep your field turf will require—don’t be. Generally a quick run through with a leaf-blower will clear up any debris that has accumulated, and often you can simply do a quick walk-through and pick up the few twigs that have gathered. The time you save can be spent on the things that are important to your football program like practice and recruitment, and you can spend money on helmets instead of lawn mowers. When you play at home, you want to have a home-field advantage, and artificial football turf delivers. Players have steadier footing as a result of the structural padding woven into the turf which allows for more secure pivots and stops. This lets your team get a feel for the field that they can use to their advantage. It will also reduce injuries on both sides of the field. By upgrading to synthetic turf, you’ll be making a positive impact on your environment that sets a great example for your students. Over the long life of your field, you’ll be conserving a tremendous amount of water. The lack of regular maintenance will also reduce emissions and conserve fossil fuels as you won’t be running any heavy equipment, and you’ll never have to use any fertilizers or pesticides—saving the environment and your wallet. 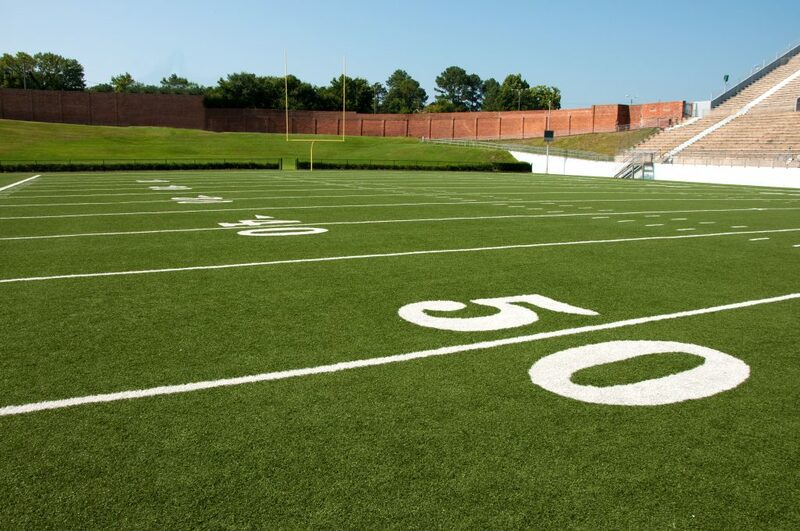 Installing artificial football turf is a cost-effective way to maintain a beautiful football field with a professional look without all the maintenance, expense, and environmental headaches. Have questions on how artificial sports turf can benefit your school, park, or program? 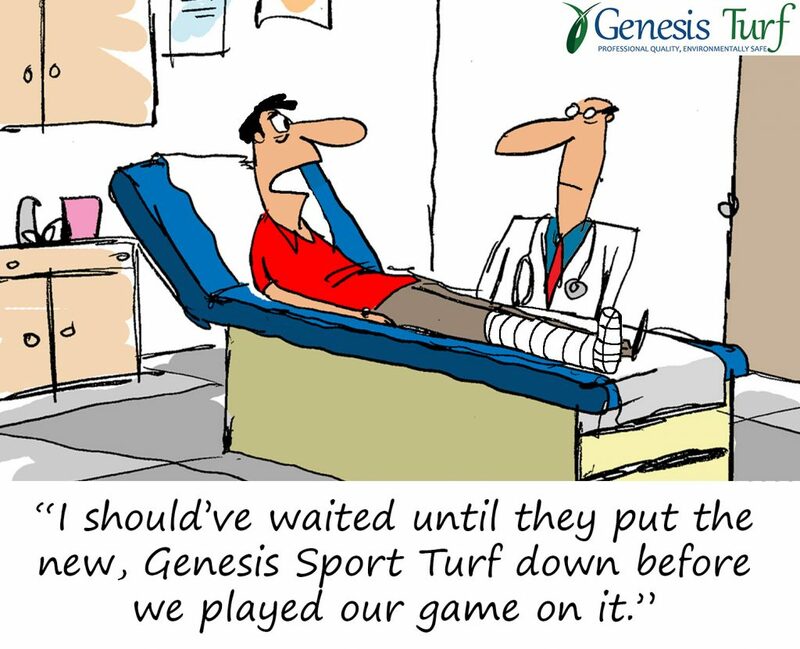 Give Genesis Turf a call today at 855-887-3435 and allow us to work with you in providing a state of the art field for your players and spectators.